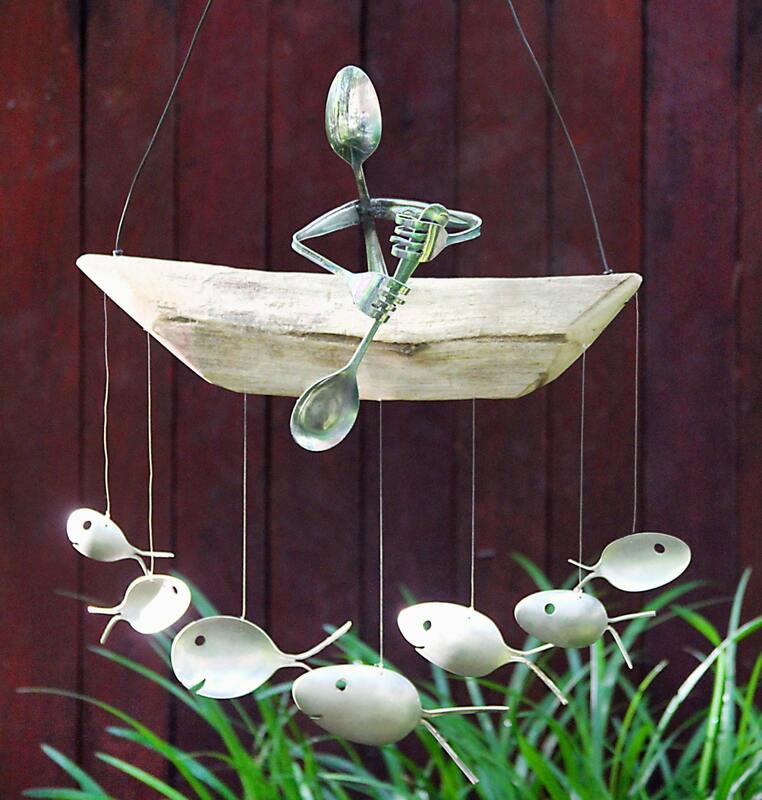 My Paddle Trip wind chime makes a unique gift for any water lover. 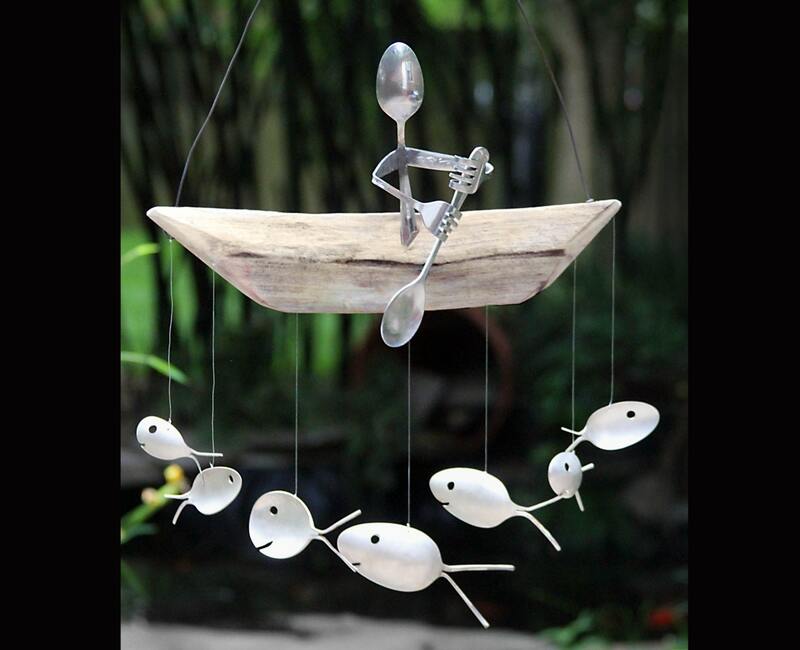 As the spoon man gently paddles in the breeze the fish dance beneath producing a glorious sound. Paddle trip is also available in several different styles. These can be customized to suit your families need. We offer a woman paddling, husband & wife paddling ( Fork woman like the one shown in my husband & wife fishing pictured above. ) & can add children or pets as needed. If you don't see what your looking for simply convo us & we will do our best to assist. 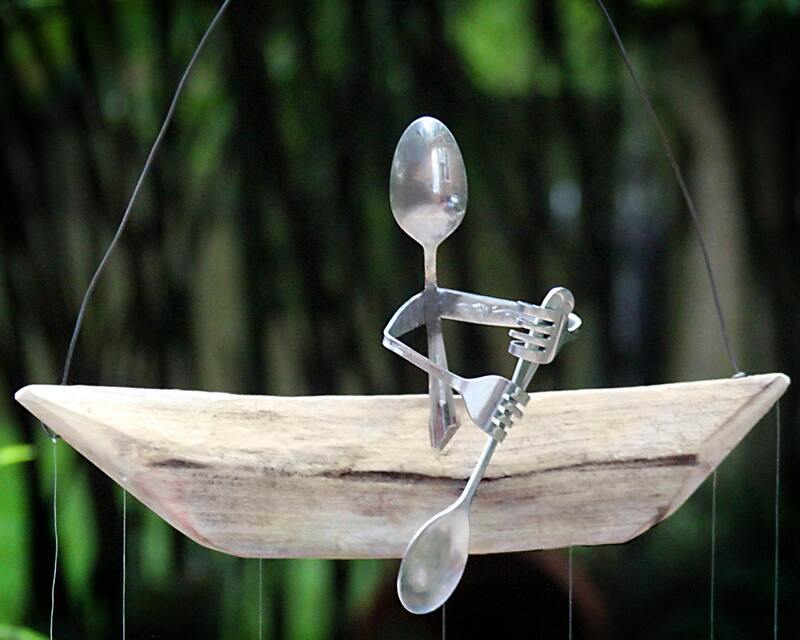 Spoon Fish and are up cycled from vintage and antique Silver Plated Flatware. The handcrafted canoe is driftwood from the depths and shores of NC. 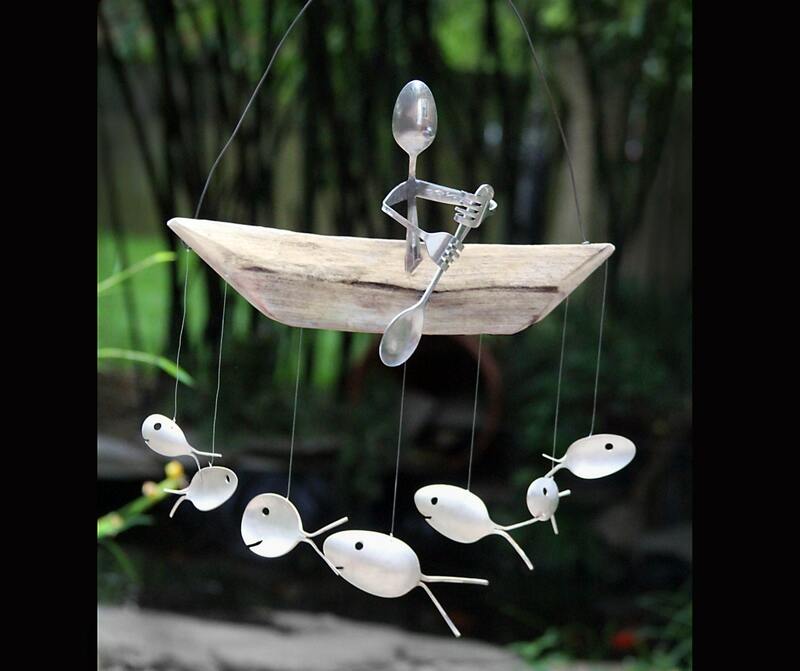 Driftwood is finished to preserve the beauty of your windchime will last for years to come. Suitable for indoor & outdoor use. Great gift idea for any fishing couple, fathers day, housewarming gifts or just a treat for yourself. 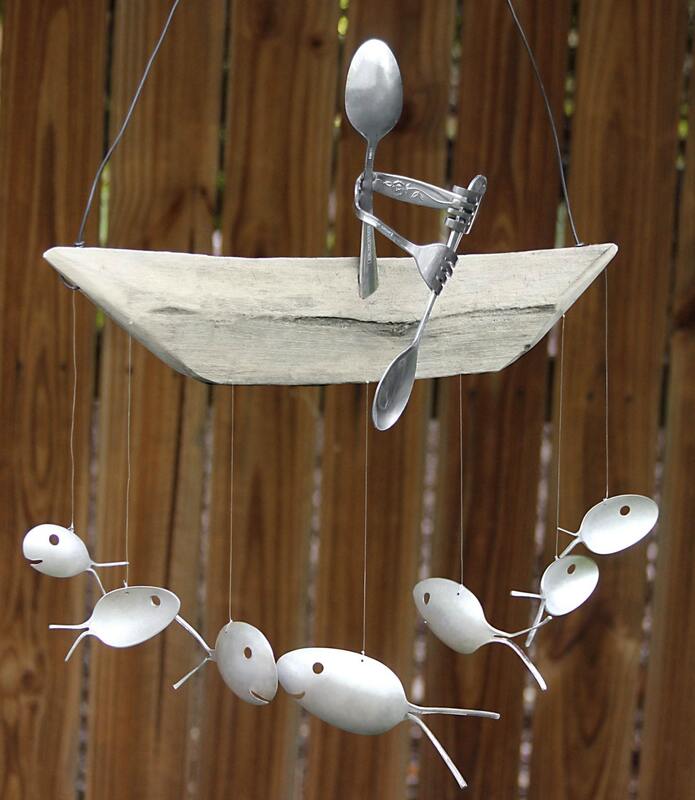 Makes an adorable conversation piece for any backyard barbecue. Please feel free to contact me if you have any question. If you would like a note added with your order please add a note to seller when checking out with instructions of what to write.